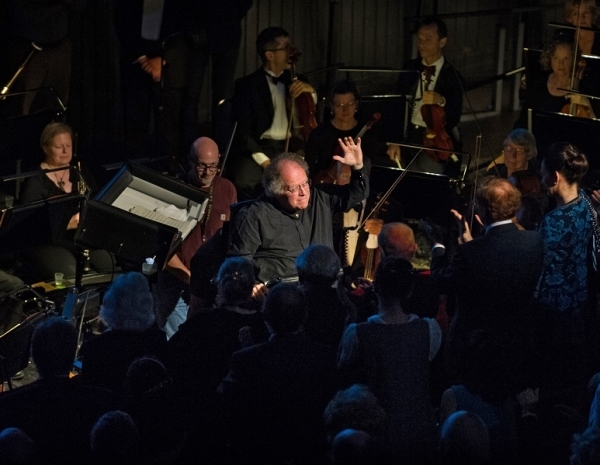 Lest you miss this landmark event, I wanted to write about the Met’s new production of Falstaff conducted by James Levine. 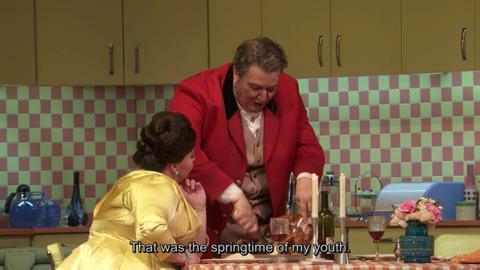 As you of course know, this was Verdi’s last opera and he chose to go out with a comedy–and what a jest. My husband is still in mourning for the retirement of Zefirelli’s gorgeous production after 50 years, but he agreed that the music was wonderfully served last night. 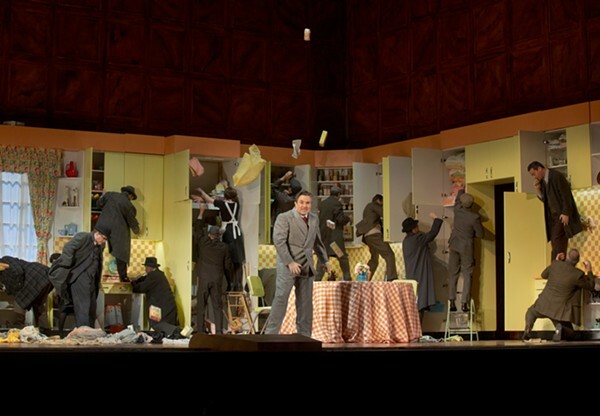 This is one of the three operas that Levine selected for his return to the podium–the other two are Mozart’s Cosi Fan Tutte and Berg’s Wozzeck–all composers and works that he has loved and championed over the decades. And he knows them well, perhaps better than any living conductor. 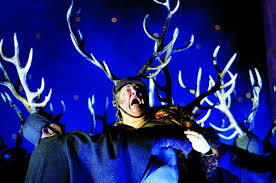 An acknowledged masterpiece, Falstaff still does not garner the love and admiration of the audience as much as say Otello, another of my top five. Verdi adored Shakespeare and it is fitting that his last two and IMHO his greatest operas are based on the Bard. 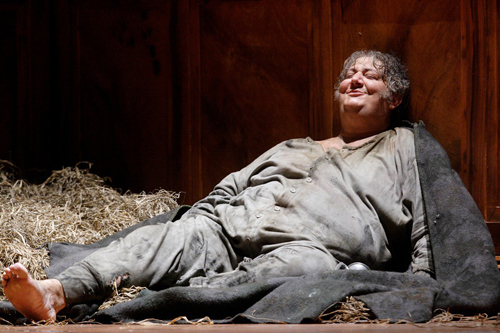 Although it is a delight the very first time you hear it, Falstaff is a work that benefits from repeated listenings; we’re talking awesome genius here. At the age of 80, Verdi used his whole bag of tricks to make you laugh–patter songs, simultaneous opposing rhythms, fugues and musical jokes convey the ironic, satirical and often cruel humor of the piece. And it goes by at warp speed–just when you think you’ve gotten it, you’re on to the next thing. The new production puts the opera into Mid-Century Modern (the current term for what we used to call “50s”) and it’s funny. In fact, there are moments that make you laugh out loud and that is entirely appropriate. The much-loved Levine conducted with masterly insight and succeeded in making sense of the complex musical strands which are often heard as a jumble. You won’t hear this piece played better than it was by the gleaming Met Opera Orchestra that Levine built up from a workmanlike group to a great symphonic ensemble. In fact, Levine leads them in three concerts coming up at Carnegie Hall and they are always great. The last time Falstaff was mounted was 2005 and it may not be back for some time. If you want to make sure you hear this work conducted by this conductor, try to get seats for one of the performances in late December or early January. Tickets are available and they start at $30 for Family Circle.